Jerry Steiner, CEO of Arvegenix, and Toni Kutchan, Vice President for Research at Donald Danforth Plant Science Center discussed new research in the field of bioenergy on St. Louis on the Air. While the typical American may be considering how to use alternative fuel in the form of an electric car or investing in a “smart home” system, big industry is also looking for ways to reduce CO2 emissions through the use of alternative biofuels. While the promise of ethanol-as-alternative-biofuel has waned due to its impact on food prices and lack of efficiency, groups of local researchers and businesses in St. Louis are looking for other biofuels that could meet the needs of big industries like aviation and aerospace. Toni Kutchan, Vice President for Research at Donald Danforth Plant Science Center, said that sorghum, Camelina sativa and pennycress are non-agricultural crops that researchers are harvesting for oil and biomass to use for fuel. Pennycress, for example, is a “weed” that Missourians can find growing road-side. Jerry Steiner is the CEO of Arvegenix, a local company leading the development of Pennycress oil for use in biodiesel fuel. He said that plants like pennycress can fill a void left by the promise of ethanol. 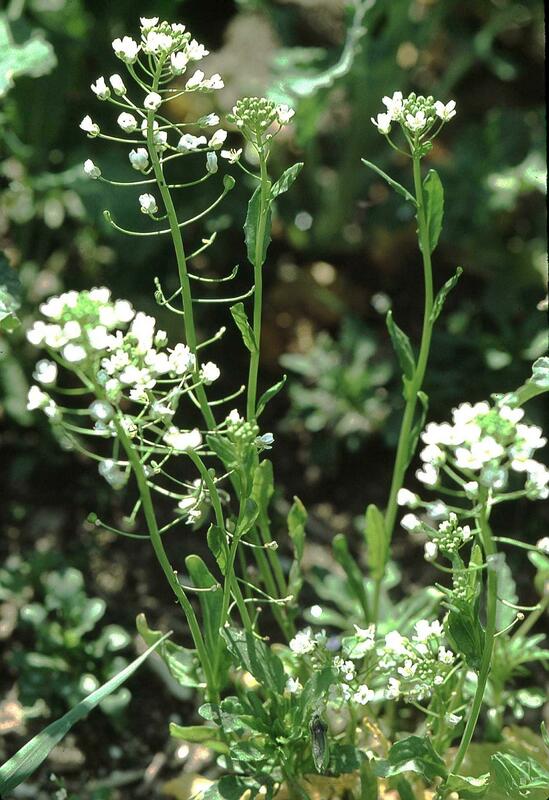 Pennycress could be planted in fields between the harvest of soybeans and corn. Thlaspi arvense, known as field pennycress. “We’re not taking away land that can be used for food production but we produce a cover crop that holds and protects the soil and at the same time a feedstock that can have a better than 80 percent greenhouse gas reduction in the forms of renewable diesel or renewable jet fuel,” Steiner said. Research and development like this is catching the eyes of those at even bigger companies, such as Boeing. John Tracy, Boeing’s Chief Technology Officer, said that his company is seriously considering biofuel sources such as pennycress as they look at the next 20 years of jet fuel use. Local researchers and companies are looking into new, alternative biofuel sources to fuel big industries like aerospace and aviation. St. Louis on the Air host Don Marsh discusses some of the most viable ideas out there. When: Thursday, May 12 from 6:00 - 7:00 p.m. 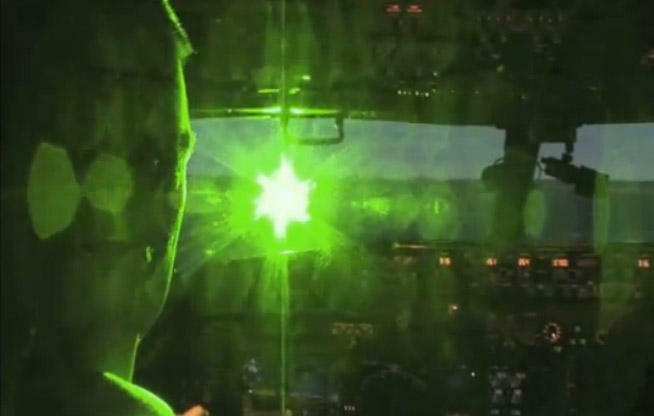 The FBI is warning that aiming laser pointers at flying aircraft is a serious offense punishable by years in jail and thousands of dollars in fines. At a press conference Monday, St. Louis officials said that pilots typically report several laser strikes per day. Doug Reinholz is a helicopter pilot with the St. Louis Police Department. He says the light from laser pointers can be blinding to pilots, particularly at night. "It's equivalent to like a flash of a camera if you were in a pitch black car at night," Reinholz said. Police in St. Louis County are investigating another laser strike on aircraft. The St. Louis Post-Dispatch reports that a green laser hit a police helicopter flying over the Webster Groves area Thursday night. Pilots could not find the source of the laser beam, and no arrests have been made. The U.S. Attorney's Office announced today that Brian David Monday has been indicted for allegedly pointing a green laser beam into the cockpit of an in-flight airplane and helicopter on Nov. 4, 2011 in St. Charles. The 30-year-old Monday of St. Charles was indicted by a federal grand jury and is facing one felony count of interfering with an airplane and a helicopter. The charge carries a maximum penalty of 20 years in prison and/or fines up to $250,000 if convicted.